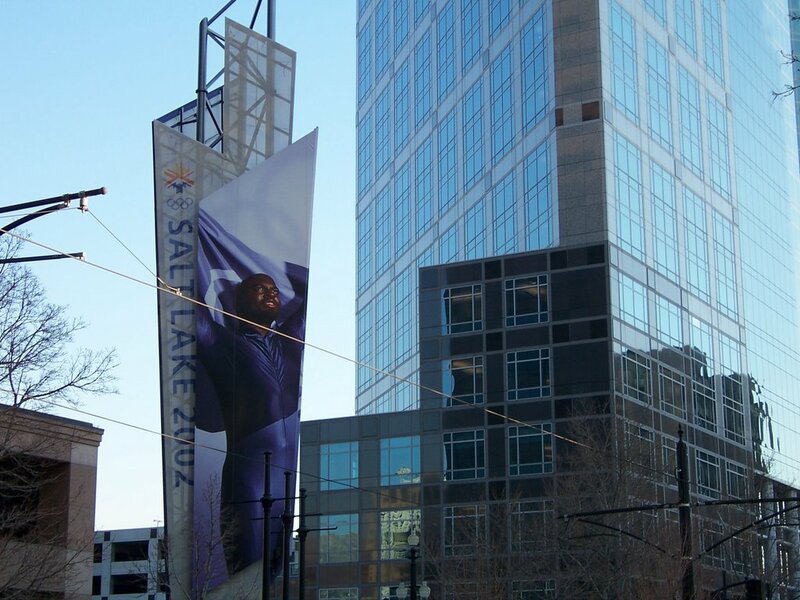 It doesn't seem like it's been 4 years since the Olympics were here in Salt Lake City. There are still lingering signs of the games and the impact they had on the city. This structure is just a block away from my work. I've passed it almost everyday for the past two years, but now it's suddenly bringing memories back. I still can't believe I actually got to be a part of the Olympics, to witness the competition, see a medals ceremony, even just be in the atmosphere. It's amazing! I've been keeping a close tab on them this year, and it's been even more fun to feel like I'm a part of them with the Knitting Olympics. The sweater is coming along. I'm still pretty confident I'll be able to finish it, I just need to keep pushing myself. I've already separated the sleeves from the body and once it has more to it, I'll take a progress shot. I think in a little bit I'm going to knit on the neck band, just to make sure I like how it looks before getting too far to frog. So maybe tonight I'll get to start on that, but I have some book stuff I need to focus on first. I'm also still sick, which isn't adding to the fun. Trying to knit while hacking up a lung doesn't work too well. My friend who's a dentist (so I'm not sure there's a lot to trust there) thinks I have walking pneumonia. I've put off going to the doctor because I hate doctors plus I really don't think they'd be able to do much for me without it costing an arm and a leg... But I may cave in soon since I've had it for over a week now. For now, I'm hoping sleep and fluids will help!